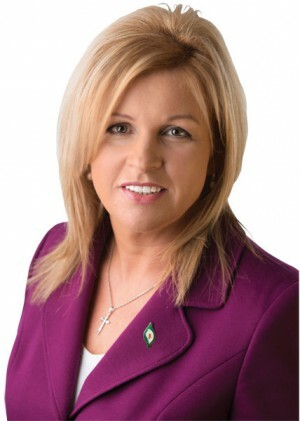 Senator Rose Conway-Walsh was first elected to Mayo County Council in 2009, making history as the first woman councillor elected in Belmullet since the foundation of the state. She went on to retain her seat for West Mayo at the 2014 local election, topping the poll with 2,078 first preference votes. Rose, who has lived in Belmullet since returning from London in 1998, has almost 20 years of experience in leading Community Projects in Mayo. She is a member of Sinn Féin’s Ard Chomhairle and is an Irish Representative on the EU Committee of the Regions. Rose holds a Masters in Local Government and a BA in Public Management. She has a special interest in economics and represents Sinn Féin at national and International events, as well as chairing the party’s ‘Stand up for the West’ campaign. Rose’s belief that all people should have basic human rights and equality encouraged her to get involved in politics to try to make a real difference to the lives of the people she represents. She works towards an alternative vision and challenges the injustices that have been allowed to exist at many levels in our communities.